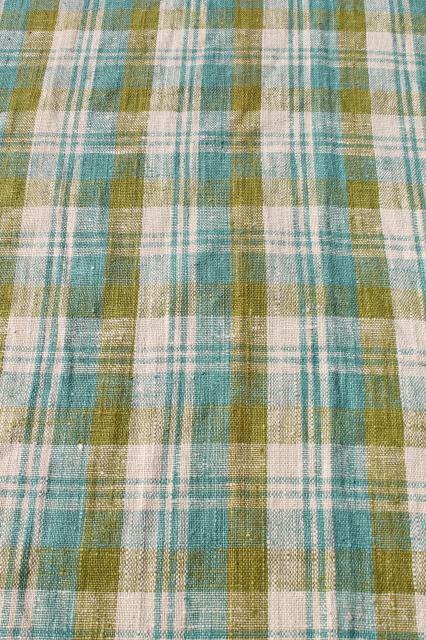 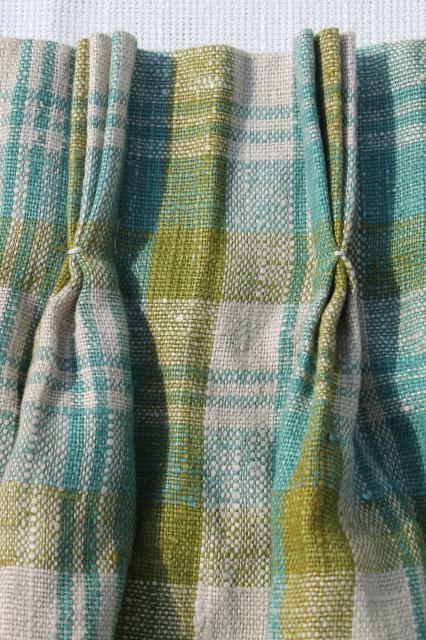 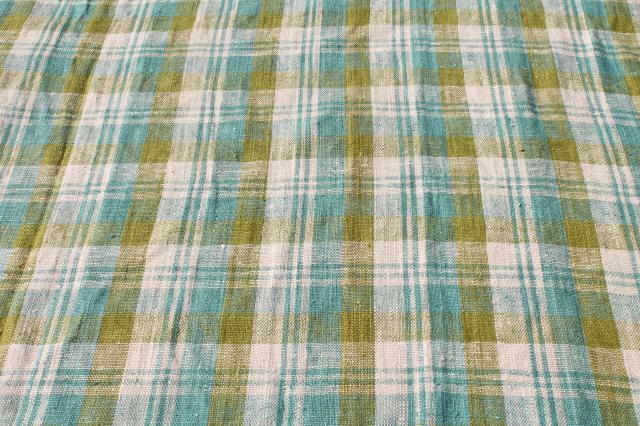 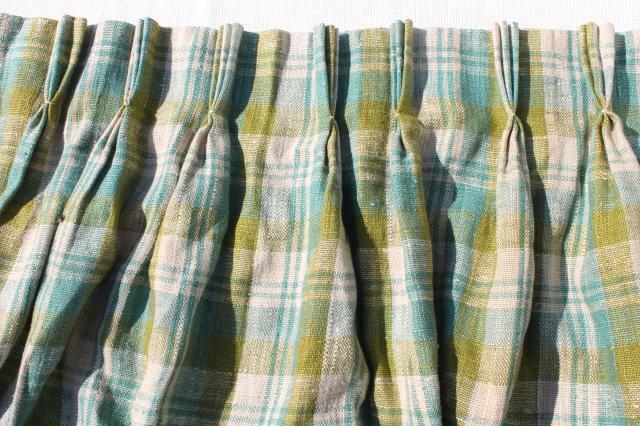 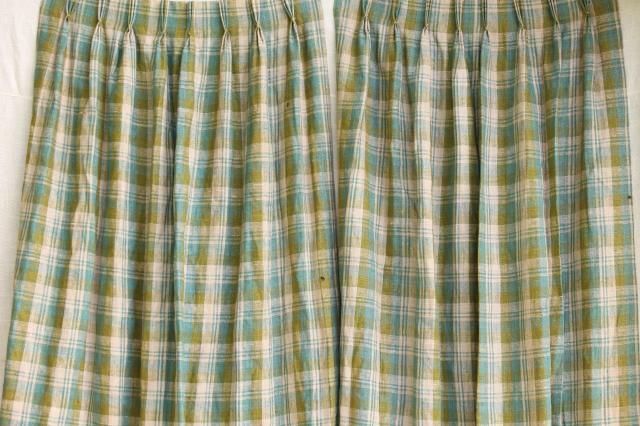 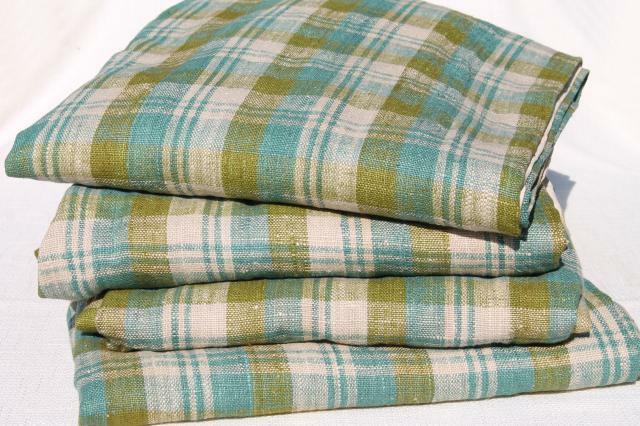 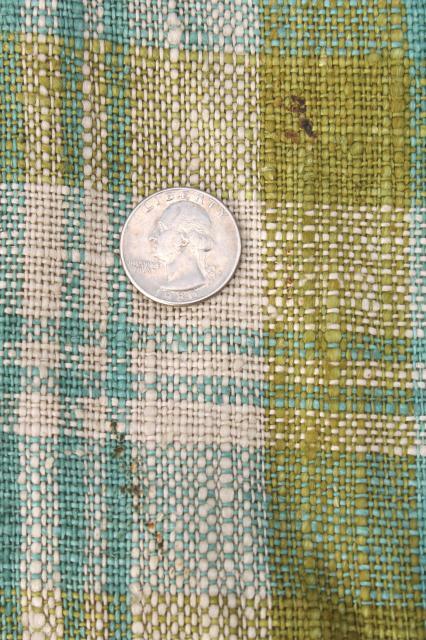 60s vintage set of heavy linen curtains... these are cotton lined, but we believe the plaid fabric is probably pure linen, very nice. 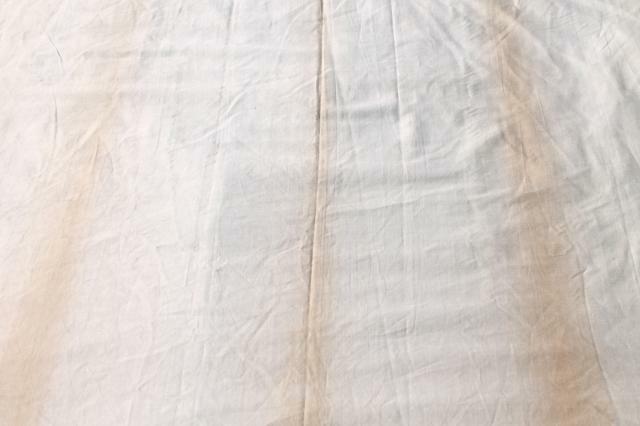 These need a good cleaning as they're dusty and dirty. 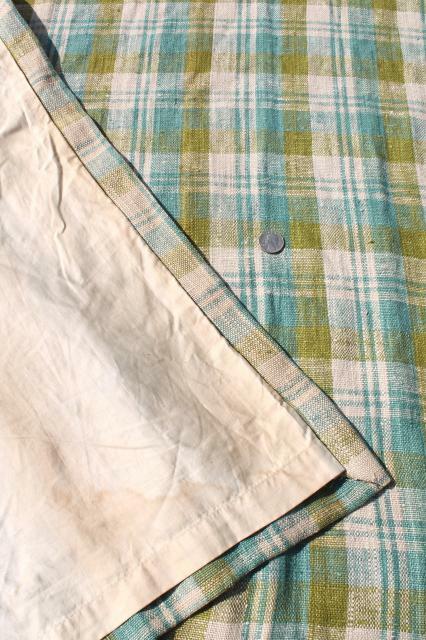 You could probably hand or machine wash them if you're planning on re-purposing the linen fabric, but we'd suggest dry cleaning if you want to used them as they are as curtains. 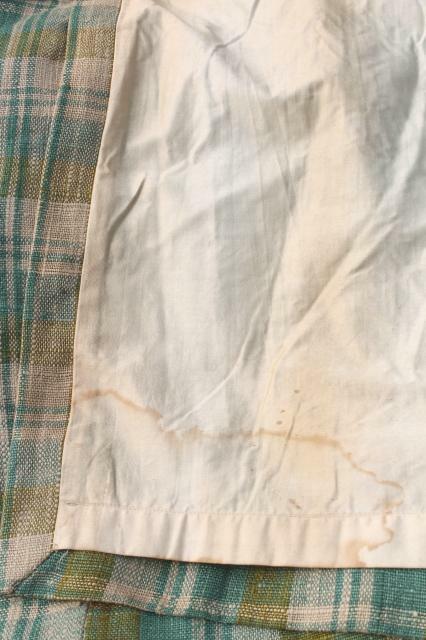 The cotton linings are very discolored which might not come out with cleaning, you might want to take out the linings! 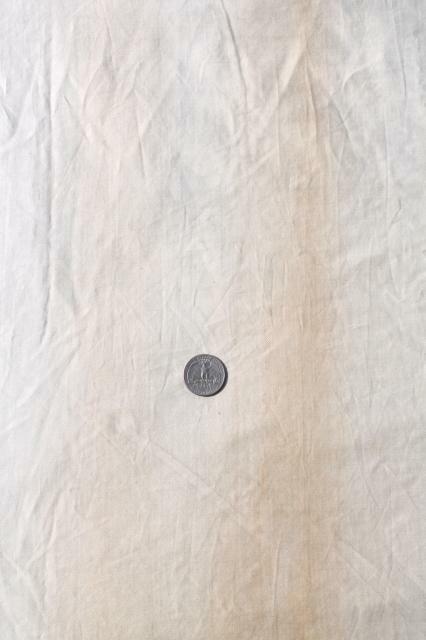 The linen has been well protected from sun damage by the lining fabric, and looks good overall with no serious fading or damage beyond soil from use. 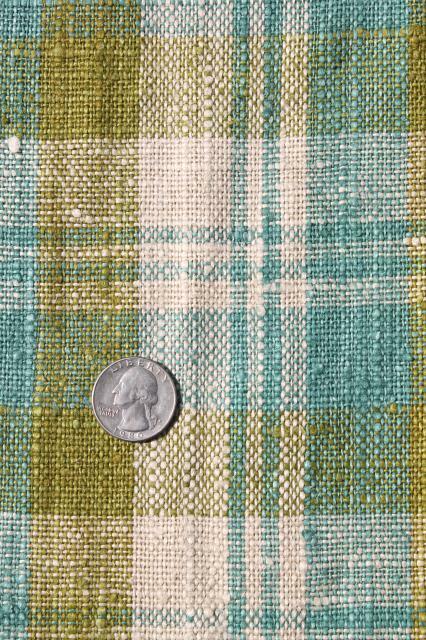 There's four pinch pleated panels here, all 61" long, 31" wide across the pleats and 74" wide across the hems.